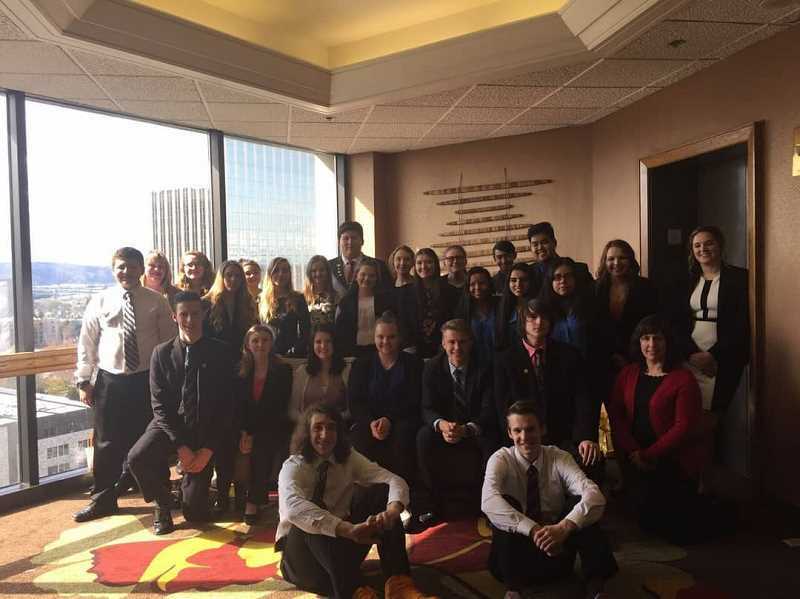 FBLA adviser Corri Ellis led the Molalla FBLA chapter to a slew of awards at the state competition this month. "It was so exciting to be sitting in the closing ceremony and hearing Molalla's name called out so often," Ellis said. But it wasn't only the chapter or members who were called out during the awards ceremony, Ellis came home with a title of her own: State FBLA Adviser of the Year. Ellis started the Molalla FBLA chapter just three years ago with 18 members. She was unsure if it would take off with FFA being so big in Molalla. "Yet, our students ran with it," Ellis said. The chapter has grown to 42 members this year, and those members won more than 30 awards at the state competition in Portland on April 5-7. Two of those members were elected as state officers. 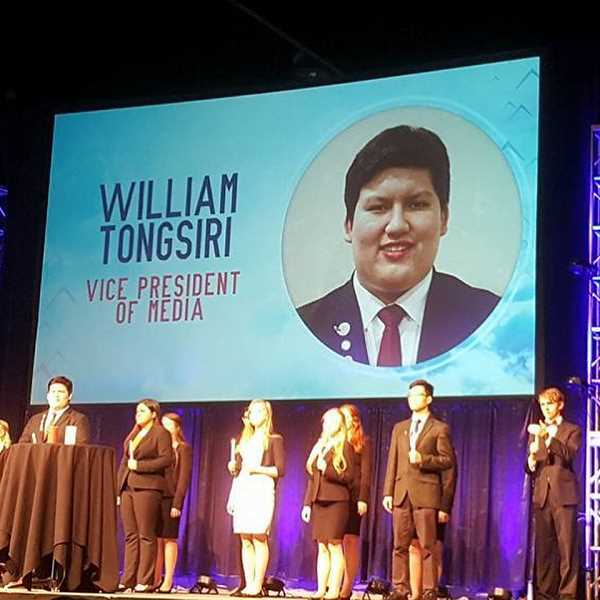 William Tongsiri, the chapter's vice president and next year's historian when he will be a senior, was elected as the State Vice President of Media. 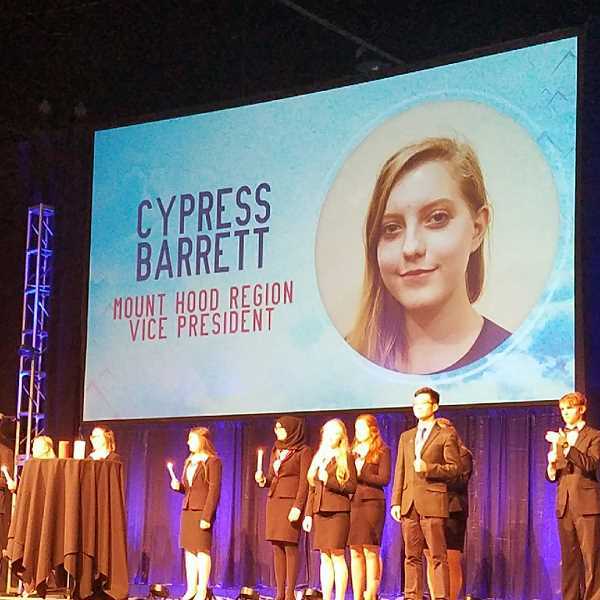 Cypress Barrett, who will be a sophomore next year, was elected as the Mount Hood Region Vice President. "I have co-managed our chapter's social media accounts for the last three years, and I am ecstatic to take on this next chapter in my life," Tongsiri said. "I am trying to expose more students to FBLA through social media, promotion and community outreach. When I got this position I thought, 'Oh, wow I cried for nothing.' I am so honored to have this position and represent 2,000 plus individuals of Oregon." Barrett's inspiration for running for an office came from her brother Gavin Barrett, the current Oregon State FBLA president. "The last year I witnessed my brother blossom," Barrett said. "Not only did he become a stronger person but he gained a second family. I wanted the chance to be a part of such an amazing experience, and only hope it will be as amazing as I believe." The success is pushing excitement within the chapter, and Ellis hopes to continue its growth. "More people are talking about FBLA: middle school students will ask me about the program, and I receive emails from parents inquiring into it as well," Ellis said. 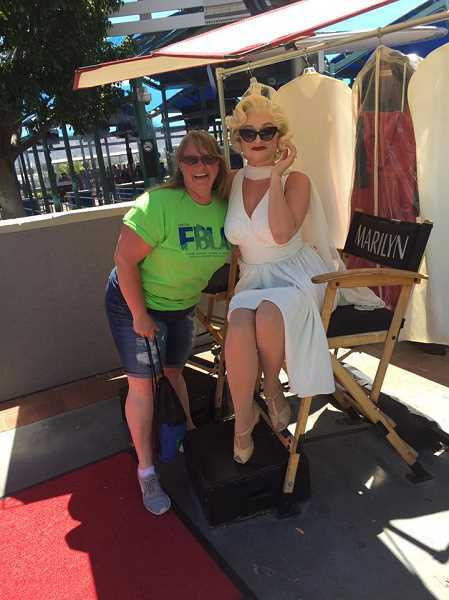 "I want FBLA to be a household name in Molalla and I feel that we get closer to that each year."